Need some new rubber for your WB93 or WB156 backhoes? Turn to Monster Tires for all your Komatsu Backhoe Tire needs. 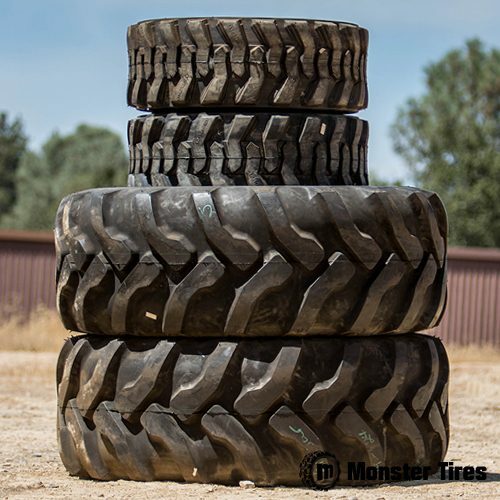 Whatever your needs may be, Monster Tires can deliver almost any tire for any job condition or use. We provide quality backhoe tires at unbeatable prices combined with superior shipping. Toughen up your Komatsu Backhoe with some brand new rubber from Monster Tires and turn your backhoe into the production machine it should be. If you have any questions about the tire size, ply or specs on these Komatsu Backhoe Tires, please contact our expert staff today to learn more. Your Komatsu Backhoe is only as dependable and reliable as the tires you have on it. When you’re out on a jobsite, you don’t want to be putting your workers’ safety in jeopardy or risking fines for wearing your tires low. We offer Front Tire Sets for Komatsu Backhoe WB93-WB196 and WA140, as well as Rear Tire Set for Komatsu Backhoe and Set of four tires for Komatsu Backhoe. Trust in Monster Tires for your next set of Komatsu Backhoe tires.